Not as solid as most episodes. The interview with Dr. Rola Hallam on Syria was the solid piece of work here. Loved the Profiles in Tremendousness! Sad that I’m so far behind on episodes that when I’m watching the episode introducing “The Mooch” is the same day that he’s fired from The Apprentice: White House Edition. The segment on trans people in the military was phenomenal and truly humanizing. Poignant, but not as strong an episode as usual. I was thinking that Jordan was a horrible washboardist and was shocked that it came back as a topic in the interview. I hope Segarra’s album is awesome, in some sense to make up for my total disinterest in her interview. I sampled some of her music and Spotify and it’s just not my cup of tea. The Trump “Old Guy” opener was about as good as it gets for political satire lately. Interesting to see what’s happening at Teen Vogue. The Stephen Miller portion actually went pretty easy on his performance on the Sunday Morning shows this week. Not quite as funny as most episodes, but still interesting and relevant within the overall political environment. The “Moment of Zen” at the end with Trump shaking hands with Abe was truly hilarious. 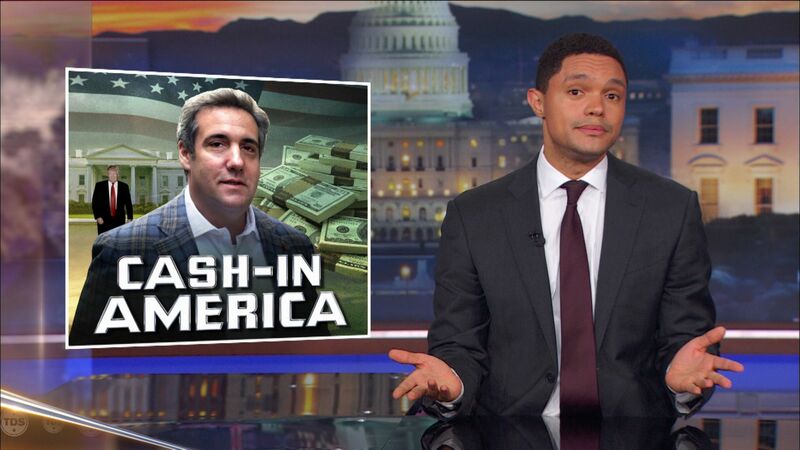 The Daily Show is an Emmy and Peabody Award-winning program that looks at the day's top headlines through a sharp, reality-based lens. Along with the help of The Best F#@king News Team Ever, Trevor Noah covers the biggest news stories in politics, pop culture and more. The U.S. Ethics Office blasts Donald Trump’s divestment plan, Ben Carson begins his confirmation hearing for HUD secretary, and Cecile Richards discusses Planned Parenthood. President Obama makes last-ditch efforts to protect his legacy, Lewis Black reflects on the lack of star power at Donald Trump’s inauguration, and John Zimmer discusses Lyft. Secretary of education nominee Betsy DeVos undergoes a harsh Senate hearing, Michelle Wolf examines Donald Trump’s approval rating, and Samantha Power discusses her U.N. role.